IREM Maintenance Courses will help you expand your skill set and provide resources for every step of your career development. No matter your level of experience and expertise. Every pilot needs their copilot. As a Property Manager, your property is your aircraft and you need your Chief Engineer to soar. What does it take to build the ultimate pilot/co-pilot relationship that will benefit your property, management team, and tenants? In this webinar, Kimberley Morgan, CPM® will explore topics such as how a manager can build a productive and healthy relationship with their engineers, understanding the Chief Engineer’s role as co-pilot, team building with the property management staff, and more. In the Managing Maintenance & Budgeting Track, you’ll complete your comprehensive training in property operations by covering property budgeting, accounting, and common financial reports, property maintenance programs, and risk management. In the Managing Maintenance & Budgeting Track, you’ll complete your comprehensive training in property operations by covering property budgeting, accounting, and common financial reports, property maintenance programs, and risk management. After completing both Managing Maintenance & Budgeting Track and Managing People and Marketing Track, you’ll have mastered the diverse disciplines involved in maximizing your property’s potential. A standard calculator or smartphone calculator is required. Get ready to exceed your client’s expectations. Once you’ve finished this course, you’ll have what it takes to create and oversee quality, proactive maintenance operations that will minimize unexpected expenses and reduce risk. Register today and take your place among the industry’s high level practitioners known for delivering optimum property performance and maximizing value for the owner. Make a Plan. Learn to establish, execute and manage a preventive maintenance and risk management program, including budgetary considerations. What do you See? 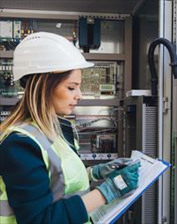 Realize the importance of proactive inspections that preserve the owner’s investment, and discover how to implement appropriate risk management strategies that reduce the potential for loss. Say What? Explore the ins and outs of major building equipment and systems. Speak knowledgably with maintenance personnel and contractors about how they work, what can go wrong, and guidelines and procedures to ensure proper maintenance and operation. The Lowdown on Maintenance Operations Management. Should you use contract workers? What factors should you consider? Learn how to select, manage and oversee the work of contractors. And learn to view your property’s operations from a 30,000-ft. level. 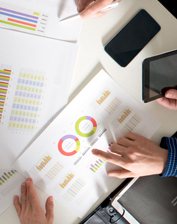 Take this course on its own or together with Budgeting, Cash Flow, and Reporting for Investment Real Estate (FIN402) with the Managing Maintenance & Budgeting Track. 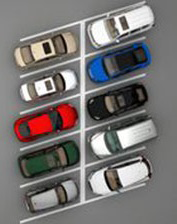 Parking facilities are frequently considered low priority areas in a real estate manager’s portfolio as long as tenants have open spots to use. Yet that facility is often the basis of the first impression visitors and tenants form of not only the accompanying building, but of your management company. Use the suggestions in this on demand course to make that first impression a great one. Lee A. Whitman, CPM® will help you gain a better understanding of the parking industry so that you can sell your clients on any proposed changes and increase income in this area. Through video-based scenarios and activities, you’ll explore tips and best practices for conducting property inspections, working with contractors, purchasing and inventory control, and sustainability.